Design Chicago is the Midwest’s largest residential design conference that features two days of educational events and presentations, showroom open houses, and product debuts. The conference returns to downtown Chicago Tuesday and Wednesday, October 3 and 4, 2018 at the Merchandise Mart, featuring two days of events for kitchen, bath and home furnishings. US Lifestyle Magazine INVITES YOU TO JOIN THE CALIFORNIA HISPANIC CHAMBER OF COMMERCE AT THEIR ANNUAL CONVENTION. Key Speakers that bring the best information on topics that matter most. Twenty years after their searing hit Bordertownpremiered, LA’s very own Culture Clash returns to the southern border to investigate the state of affairs once again. 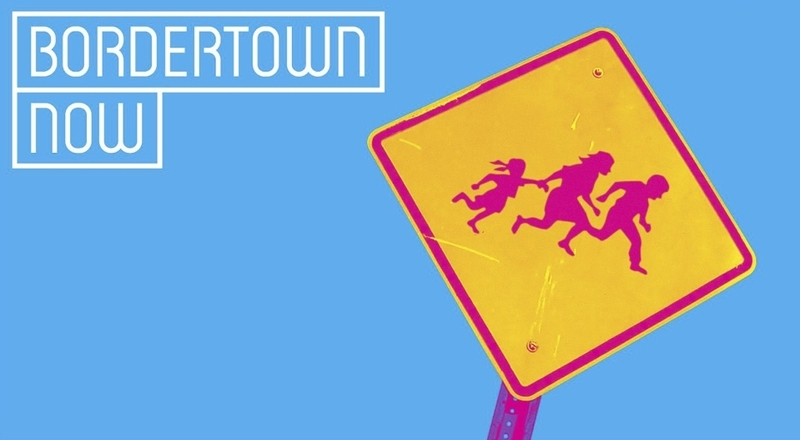 Re-imagined, remixed and fully reloaded, Bordertown Now is an irreverent look at the people at the center of one of America’s most hot-button controversial issues, and the walls that divide us all. Infused with their trademark comedic approach, the nation’s premier Chicano/Latino performance trio joins Obie Award-winning artist and director Diane Rodriguez to redefine the boundaries of theater and break down the divisions between cultures. Actor Bambadjan Bamba, "Black Panther" - Black Panther star who just revealed he is a DACA recipient. Actor Bambadjan Bamba was born in the Ivory Coast (Cote D'Ivoire) and spent his adolescent years between Abidjan, the south Bronx and Virginia. He studied at the Conservatory of Film and Dramatic Arts in New York City. Bambadjan is also the owner of IvoStar Pictures an independent production company based in Los Angeles that focuses on producing African content. Julisa Arce is a political commentator, speaker, writer and best-selling author of My (Underground) American Dream. She was named one of People en Español’s 25 Most Powerful Woman of 2017. She is a leading voice in the fight for social justice, immigrant rights and education equality. She is a contributor for Crooked Media, CNBC and a host for Crooked Conversations Podcast. Her book is currently being developed as a television series at FOX with producer and actor America Ferrera. She serves on the board of directors of the National Immigration Law Center and CollegeSpring. She was officially sworn in as an American citizen in August of 2014. She lives in Los Angeles with her husband and their two cats, Nikko and Pancho. Her second book Someone Like Me will be published on September 18, 2018. Rafael Agustin is a writer on the award-winning The CW show, JANE THE VIRGIN. He is a 2016 Sundance Fellow for his TV family comedy, ILLEGAL, based on his life as a former undocumented American. Agustín co-created and co-starred in the national touring, award-winning autobiographical comedy, N*GGER WETB*CK CH*NK, which received acclaim from the LA Times, New York Times, Denver Post and won awards for its advancement of social justice in the arts. Rafael Agustín currently serves as Executive Director of the Latino Film Institute Youth Cinema Project. For more information and updates on LALIFF visit www.latinofilm.org. For more information on the Youth Cinema Project visit www.youthcinemaproject.org. He received his BA and MA from UCLA’s School of Theater, Film & Television and is an alumnus of the CBS Diversity Comedy Showcase. Uriel Saenz is a celebrated leader who is credited as an international fashion designer, USMC veteran and a respected media man all while raising his daughter as a single Dad. In 2017 Saenz was selcted US Ambassador for the Global Polish Man campaign, bringing awareness to child abuse, joined by Marc Jacobs, Zac Efron and Alec Baldwin, among others . In 2016 Uriel Saenz was selected Most Inspiring Latino along side Roselyn Sanchez, Fonseca, Becky G. and Ivonne Coll . Most recently Saenz served as VP of Multicultural Development & Strategy for the Los Angeles Times Media Group. Uriel Saenz has taken his work around the world, was selected featured American Designer in China and has been a participant of Mercedes- Benz fashion week. He has been published through his multifaceted career in Hollywood Reporter, Vogue UK, Univision, Glamour, WWD and many other national and international publications. Join us at the 32nd Annual Leadership and Legacy Awards Luncheon as we reinforce The Power of Our Voices: Advocates for Women in Business. Join as we celebrate connections and bring a legion of successful business owners and leaders together. NAWBO-LA creates a culture of transformation marked by a movement that will impact equality, power, and achievement for this generation of entrepreneurs and the next. We celebrate the success of our honorees and our speakers whose excellence personifies NAWBO-LA: the spirit of leadership through the power of our voices. The Breakout Sessions are complimentary with ticket purchase. For ads in the program book, exhibitor booths, swag bag product distribution and more please email gala@NAWBOLA.org. 10am - 11am - Breakout Session sponsored by Bank of America: "Status on Women Business Owners presented by Bank of America"
10am - 11am Breakout Session B sponsored by Erika Girardi "Fireside Chat with Erika Girardi"
Online registration will close on Monday 5/14 5pm. Prices at the door: Members: $200 / Individual NonMembers: $250. *Emerging business owners will have emerging business ribbons. "The Us Lifestyle BHW Salon" speakers and demonstrations will address fitness and nutrition, the mind-beauty connection, wellness and prevention, anti-aging, plastic surgery, innovative medical treatments and more. Activities, book signings, a beauty bar and product and equipment samplings are included with the event. All attendees are invited to an evening networking reception immediately following the program. Thelma Houston To Receive Replacement GRAMMY® Award For Her Hit Song "Don't Leave Me This Way"
Honoring Single Moms and Corporations Making a Difference In Their Home and Community! Join us for the 5th Annual Single Mom’s Awards on Friday, May 4th, 2018. The event will be held at The Taglyn Cultural Complex, in Los Angeles, California. The gala luncheon kicks off with honorees and guests walking the red carpet, followed by the awards show and silent auction! Click the link below to get your tickets and find out about this year’s honorees! Single moms are a mosaic made up of different races, cultures, professions and economic status, and the Single Mom’s Awards acknowledges this with a world-class celebration, The Single Mom’s Awards Fest directly following the awards luncheon. The US Lifestyle Magazine Salons are a series of national events, taking place through out the year, designed to identify the common threads of the New Americana. The February SALON will be focused on invention celebrating the past inventors of America while highlighting our current innovators. On February 11, 1983, U.S. President Ronald Reagan declared this day to be National Inventors Day. The date was selected, as Thomas Alva Edison, the greatest inventor in U.S. history, was born on this day in 1847 in Milan,Ohio. While Edison was perhaps best known for inventing the light bulb, he held over 1,000 patents! National Inventors Day honors Thomas Edison and all inventors, recognizing the enormous impact inventions have on technology industry, and society worldwide. Just think about all the inventions, and the resulting new products, processes and procedures that you hve seen in your lifetime. It readily gives us an appreciaton for the inventors, that allowed these things to come into being. On National Inventors Day, spend a few minutes to appreciate inventors, whatever their field. If you are lucky enough to know one, let them know just how much you appreciate them.